GUYS I’LL BE HONEST – I HAVEN’T WRITTEN IN A WHILE. I’ve been busy, stressed, anxious, and overwhelmed. My head’s been taking my schedule week by week, instead of my heart taking my life day by day…moment by moment. Last week, out of pure stress and anxiety, I opened my laptop and typed the following blog post straight from my raw little heart. to quickly release built up feelings and emotions. I saved it on my desktop and never had the intent of sharing it with anyone until tonight…. When I went back and opened the document, the words I wrote just last week took on a completely different meaning and were the exact words I needed to hear right here, right now. When I don’t want someone to know something- they won’t. This one time in college, I was hanging out with one of my sorority sisters and another girl we were recruiting to join our chapter- also known as a “potential new member” or PMN. When we found out the PMN had never been to one of our favorite taco shops, we knew we had to take her! …until I bit into my taco. The huge bite I took not only contained the delicious insides of my favorite taco, but also a huge thick, pointy shard of glass. Not wanting to ruin the PMN’s first taco shop experience, I casually spit the bite of the taco glass into my napkin and didn’t say a word. I’M GOOD AT HIDING REACTIONS. COVERING UP FEELINGS. PUSHING EMOTIONS DOWN. SMILING THROUGH THE PAIN. I’ve kept quiet for the fear of being unheard. I’ve lowered my standards for the fear of being unworthy. And I’ve even given up explaining myself for the fear of being misunderstood. I’ve gone through life feeling unheard, unworthy, and misunderstood. If you’re being honest- I’m sure you’ve been there too. THE WORLD IS SCARY. FEAR CAN BE SCARY. We hide because we are afraid. We’re fearful of the outcome- fearful of what might come next. We freeze in our fear and hide in the shadows because sometimes we become too afraid to take the next step. can easily shoot you right into a life full of numbness. when I had the realization that no matter how good I am at hiding, God sees it all. He knows my fears. He knows my struggles. He knows my pain. He knows my heart. He knows my dreams. He knows my desires. He knows my purpose– and most importantly He knows the plan for my purpose. When I started to accept this (like actually accept this and believe it’s truth) walls were knocked down in my stubborn little heart- and for the first time, I could start living a life full of intention because I felt like I no longer had to hide. I know my mountain has been fearful, anxious moments. I know my mountain is mental illness. And I know my mountain will continue to be fighting the good fight. 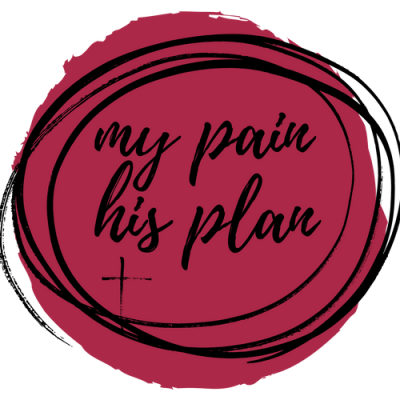 I know my purpose in life is to show others how pain, how sorrow, and how despair can be used later for the greater good of His plan. so I will step out of the shadows, I will step into the light, and I will overcome it. I so understand this…this is me, too! Thanks so much for sharing your heart!